The Game of Thrones cast continues to grow. 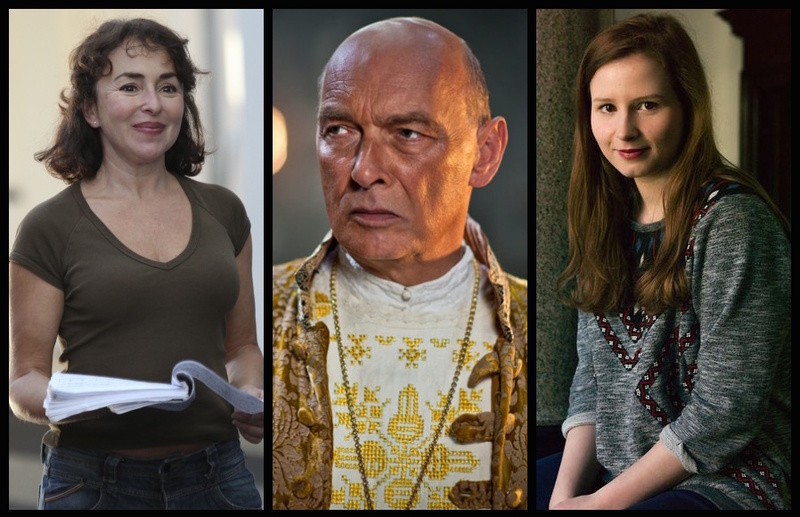 As expected from the casting breakdown for Game of Thrones' season 6, the Watchers on the Wall have learned that James Faulkner (X-Men: First Class), Samantha Spiro (From Hell) and Rebecca Benson (Shetland) will be rounding out the Tarly family. [caption id="attachment_74704" align="aligncenter" width="608"] From left to right: Samantha Spiro, James Faulkner, and Rebecca Benson (Image via ComicBookMovie. )[/caption] Faulkner will be playing Sam’s cruel and militaristic father Randyll Tarly, the only man to ever defeat Robert Baratheon in battle. Spiro will be playing Sam’s kind and loving mother Melessa, and Benson will be playing Sam’s younger sister Talla. The new cast members join Freddie Stroma (Harry Potter), who was recently announced as Sam’s brother Dickon Tarly. We still don’t know much about the role the Tarlys will be playing when Game of Thrones returns, but Melessa and Talla’s character descriptions make it seem like they’ll be key to helping Sam out of whatever trouble Dickon and Randyll get him into. James Faulkner was most recently seen as Lord Sinderby on Downtown Abbey and as Pope Sixtus IV on Da Vinci’s Demons. Samantha Spiro was previously seen in Psychobitches and will be in the upcoming TV mini-series London Spy. Rebecca Benson will next be seen in Macbeth. Featured image via Youtube.